The best pre-eoc runescape private server. This is a pre eoc runescape private server using all the best content of the Rs2 era. Elitescape has player killing bots, oldschool runescape bosses, high detailed player vs monster and player vs player. We also have dicing and gambling on the server, very enjoyable. Always 100 online. 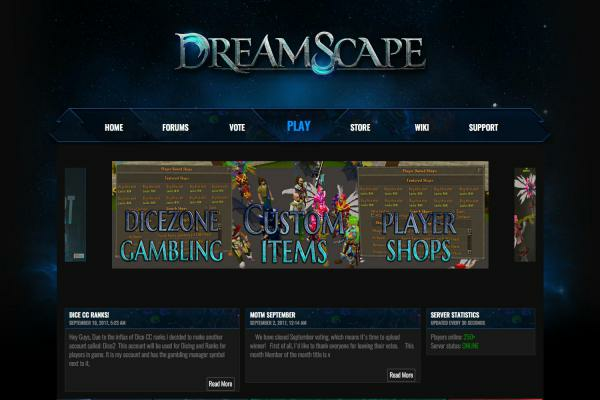 The server also has fully developed mini-games added such as pest control, duel arena, fight pits and more. The developers are working every day on updates, bugs, fixes and adding more content for the ultimate player experience. This is without doubt one of the best private servers on the toplist. Don't believe me? Check the media and see for urself! Join today.